I love it when I throw something together for dinner and it actually comes out good enough to make again. I hate it though when I don’t write down amounts so that I’m able to share it with you. I’m gonna take a guess as to how much of everything I used. Please feel free to write to me and let me know your thoughts. Place the pork tenderloin and sliced apples and onions in pan. Lightly spray all with small amount of oil and bake in oven 25 minutes. 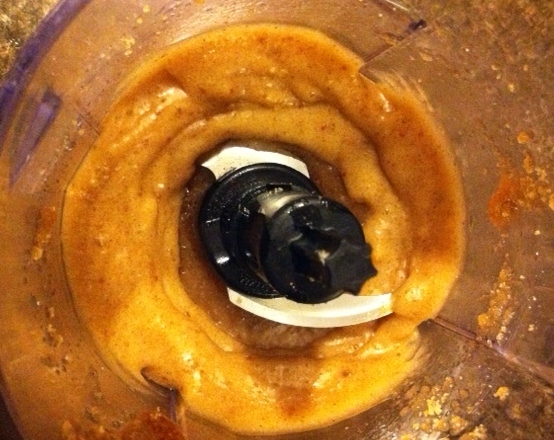 Meanwhile, in a small food processer or blender add the remaining ingredients and whip into a thick mixture. Spread sugar mixture onto pork and bake an additional 15 minutes or until internal temperature of 145 and allow it to rest for 5-10 minutes. 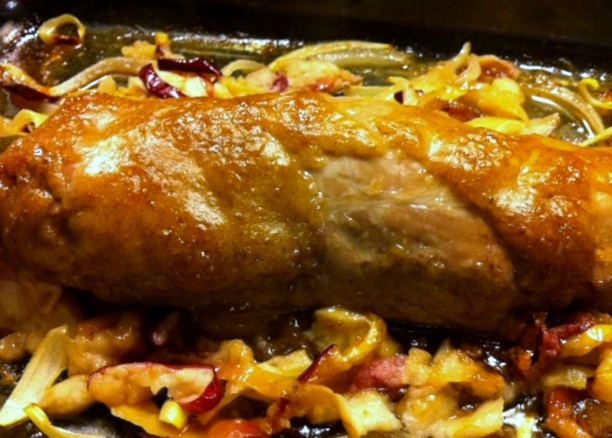 Top sliced pork with apples and onions. My boys and I devoured this. It made the house smell fantastic. I hope your family enjoys it too.